Rand Paul's Kentucky primary problem: State GOP has second thoughts about scrapping primary in favor of Paul's caucus idea. Sen. Rand Paul does a live interview with Fox News in the Russell Senate Office Building rotunda on June 1, 2015. 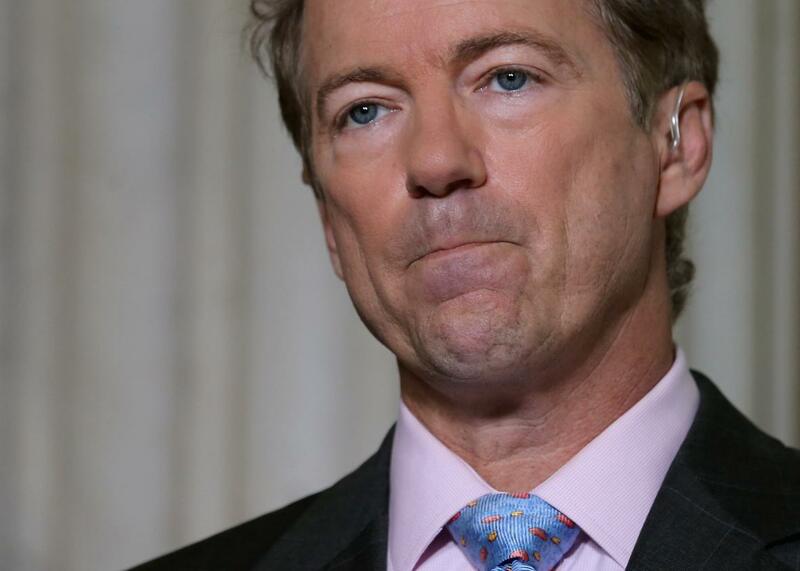 Rand Paul’s presidential campaign has seen better days. The libertarian-ish candidate entered the nominating cycle as “the most interesting man in politics.” Today he’s lagging in the polls, lacking in fundraising, and has been battered by the recent indictment of a pair of longtime advisers. His recent swings—on the debate stage and off—at Donald Trump, meanwhile, have done little to right his ship. Now, there’s even more trouble on the horizon. The state Republican Party’s 340-member central committee is slated to vote on the matter a week from this Saturday. Paul will need to convince two-thirds of the committee to vote for a change. If he can’t, he’d still have a few other potential workarounds to pursue—though none would be as simple as his caucus proposal, and all would likely eat up more time and resources that Paul would be better served spending on his floundering presidential campaign.